This special floor mounted Protema PRO175 is equipped with a knuckle arm with a vacuum tool for lifting plastic crates from the side. The crates are picked from pallets and placed on a trolley for further transportation. 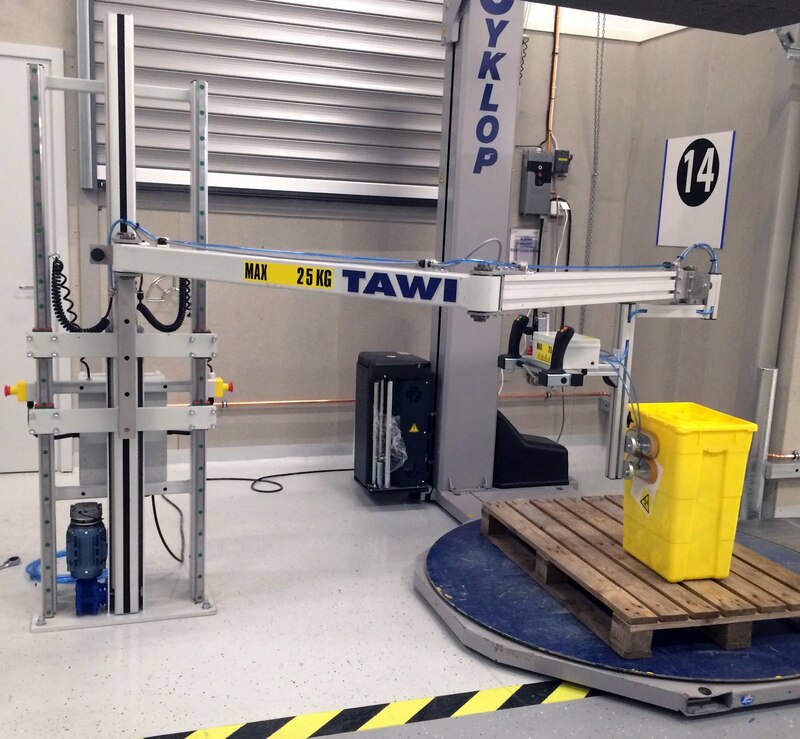 The operator can simply use the controls on the handles to maneuver every movement; up/ down, activate vacuum as well as lift and release the crates. 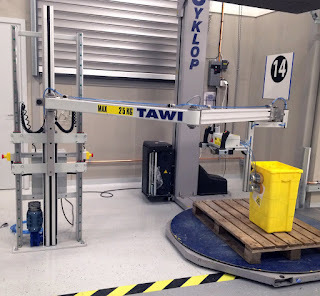 This application can handle crates weighing up to 25 kg. Click here for more information, pictures and videos of our different applications and solutions with Protema electric lift. Read more about our various solutions for handling crates here.